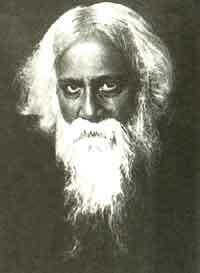 Nobel Laureate Rabindranath Tagore formed Shantiniketan as an International University. He intended it to be a place where the cultures of the East and the West could meet and mingle. Named Vishva-Bharati, the University maintains Indian traditions while incorporating the best of other cultures. Shantiniketan, the abode of peace, was initially an Ashram founded in 1863 by Maharishi Devendranath Tagore. In 1901 his son, Rabindranath converted it into an experimental open-air school with just five students. It proved a success. He widened the scope of studies and gradually formed the nucleus of a University. The splendid sculptures, frescoes, murals and paintings of Rabindranath, Nandlal Bose, Ramkinkar, Bindobehari Mukhopadhyaya and others adorn the campus. While visiting remember that summer gets very hot with the maximum temperature reaching 39 degrees celsius. There is heavy rainfall during the monsoons in July and August. The University remains closed in May and June and for one month during the Puja Holidays which fall in September-October. The Shantiniketan campus of Vishwa Bharati has grown up to be a centre for learning with an emphasis on art, music and humanities. The Uttarayan complex where the poet lived consists of several buildings, which reflect the architectural genius of the poet's illustrious son, the late Rathindranath Tagore. In addition there are Kala Bhavan (College of Fine Arts and Crafts), Sangeet Bhavan (College of Music and Dance), Vidya Bhavan (College of Humanities), Shiksha-Bhavan (College of Science) and others. The galleries at Kala Bhavan and Bichitra (Rabindra Bhavan) are worth visiting. There is a Deer Park 3 kms from Shantiniketan. Originally, the area was a fast eroding `Khowai'. It is now a large wooded area with herds of deer and makes a natural bird sanctuary. At Shriniketan, there is the Centre for Rural Service and Studies and a College of Agriculture. Festivals accompanied by songs, dance and dramas are held here throughout the year. Conducted tours are available which take you to places around Shantiniketan. Reservations are made through the West Bengal Tourism Development Corporation.We understand that permission is required from the Public Relations Officer, Vishwa Bharati for taking photographs. Winter: 1400 to 1630 hours. Summer - 1430 to 1730 hours. During vacations: 0730 to 1100 hours. Winter: 1030 to 1230 hours. Summer: 0800 to 1000 hours. Air: The nearest airport is Calcutta 213 kms away. Rail: The nearest railhead is Bolpur, 2 km away. Trains connect Bolpur with Howrah/Sealdah in Calcutta. Local Transport: Tourist cars and buses available from the Manager, Tourist Lodge.